Energy Petroleum and Marketing takes its corporate citizenship duties very serious. We believe in giving back to the community that supports our business. As a St. Louis-based, family-owned business, Energy Petroleum and Marketing is strongly tied to the community in which we operate. Through the past several years, our company and employees have donated time, resources and money to a variety of worthwhile nonprofit organizations through the greater St. Louis metropolitan area. This is our way of giving back to the friends, families, and neighbors that give strength to our community and our company since 1927. 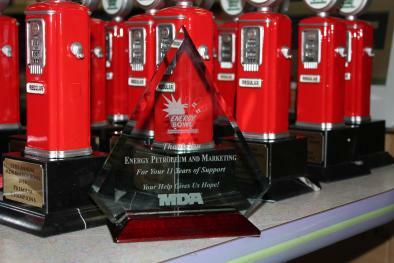 Energy Marketing is proud to partner with the local Muscular Dystrophy Association St. Louis chapter to host the Annual Energy Bowl event. We have hosted the event for 11 years and have raised an approximately over $400,000 for local families living with muscle diseases. 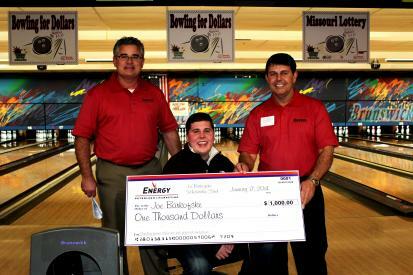 This annual event is held in January at a local bowling alley, and we appreciate everyone’s continued support in helping us raise more funds for local families living with neuromuscular diseases. If you would like more information about MDA; please visit www.mda.org.